President Donald Trump defended his widely criticized mocking of Christine Blasey Ford, who accused Supreme Court Justice Brett Kavanaugh of sexual assault, saying in an interview that aired Sunday night that "if I had not made that speech, we would not have won." The Senate narrowly confirmed Kavanaugh to the court on Oct. 6 after an extraordinarily bitter battle. Ford testified that Kavanaugh assaulted her when they were in high school during the 1980s, telling the Senate Judiciary Committee that she thought she would "accidentally be killed." Kavanaugh strenuously denied the allegation. The interview was conducted Thursday and was aired Sunday on CBS's "60 Minutes." 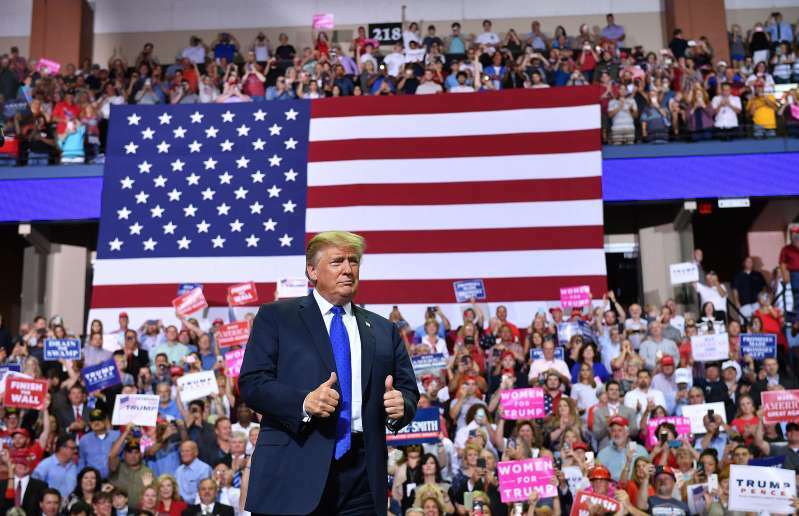 The vote came a few days after Trump ridiculed Ford in a speech in Southaven, Mississippi, an address that outraged Democrats and many advocates of women's rights. "I was just saying she didn't seem to know anything," Trump said in the CBS interview. Challenged by "60 Minutes" correspondent Lesley Stahl that he had been disrespectful to a woman who believed she had been victimized, Trump said: "You know what? I'm not going to get into it, because we won. It doesn't matter. We won." Trump also confirmed remarks his wife, Melania Trump, made to ABC News last week, agreeing that there are members of his administration who would eventually be replaced. "I have some people that I'm not thrilled with," the president said. "And I have other people that I'm beyond thrilled with." Asked specifically about Defense Secretary James Mattis, who has often been at odds with other members of Trump's national security team, the president said that he and Mattis "get along very well." "He may leave," Trump said. "I mean, at some point, everybody leaves. Everybody. People leave. That's Washington." Trump called reports of chaos in the White House "fake news," but he said: "I'm changing things around. And I'm entitled to. I have people now on standby that will be phenomenal. They'll come into the administration, they'll be phenomenal." Trump acknowledged that climate change isn't "a hoax," saying: "Something's changing, and it'll change back again." "I will say this: I don't want to give trillions and trillions of dollars [to climate research]. I don't want to lose millions and millions of jobs. I don't want to be put at a disadvantage." * Trump called the Washington establishment "babies." "This is the most deceptive, vicious world. It is vicious. It's full of lies, deceit and deception," he said. "You make a deal with somebody and it's like making a deal with that table." Trump said the booming economy was "bringing people together." "It was very polarized under President Obama, unbelievably polarized under President Obama," he said. "I can see the country uniting. I can see it."